1223: Battle of Kalka River was fought. Mongol attack on Volga Bulgaria. Battle of Samara Bend ends with Mongol defeat. 1236: Volga Bulgaria and parts of the Cumans were conquered. 1238-1239: Rostov, Uglich, Yaroslavl, Kostroma, Kashin, Ksnyatin, Gorodets, Galich, Pereslavl, Yuriev, Dmitrov, Volok, Tver and Torzhok were devastated. In the west, Chernigov and Pereyaslav were sacked. 1241: Battle of Legnica and Battle of Mohi were fought, respectively. Devastation of parts of Poland and Hungary following Mongol victories. Some Mongol troops reaches the outskirts of Vienna and Udine. Death of Ögedei Khan; Retreat of Mongol-Tatar army. 1258/1259: Incursion against Grand Duchy of Lithuania. 1259/1260: Second raid against Poland. 1271, 1274, 1282 and 1285: Raids against Bulgaria. 1275: Second raid against Grand Duchy of Lithuania. 1284/1285: Second raid against Hungary. 1287/1288: Third raid against Poland. 1291: Attempted invasion of Serbia. 1324 and 1337: Incursions against Byzantine Thrace. 1340: Fourth raid against Poland. The Tatars succeeded in establishing control over Ruthenian principalities. It included both pillaging and bloody massacres in Russian cities. 1252: Horde of Nevruy devastated Pereslavl and Suzdal. 1273: Tatars twice attacked Novgorod territory, devastating Vologda and Bezhiza. 1275: Tatar invasion of south-eastern Russia, pillage of Kursk. 1278: Tatars pillaged Ryazan principality. 1281: The horde of Kovdygay and Alchiday destroyed Murom and Pereslavl, ruined vicinities of Suzdal, Rostov, Vladimir, Yuryev, Tver and Torzhok. 1282: Tatar attack on Vladimir and Pereslavl. 1283: Tatars ruined Vorgol, Rylsk and Lipetsk principality, occupied Kursk and Vorgol. 1285: The Tatar warlord Eltoray, the son of Temir, pillaged Ryazan and Murom. 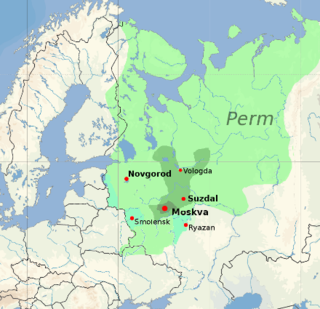 1293: The Tatar warlord Dyuden came to Russia and devastated 14 towns, including Murom, Moscow, Kolomna, Vladimir, Suzdal, Yuryev, Pereslavl, Mozhaysk, Volok, Dmitrov, Uglich. In the same summer Tatar tsarevitch Takhtamir looted Tver' principality and captured slaves in Vladimir principality. 1347: The Genoese possession of Caffa, a great trade emporium on the Crimean Peninsula, came under siege by an army of Mongol warriors under the command of Janibeg. An epidemic of bubonic plague had been ravaging Central Asia before the conflict in Caffa. Brought across the Silk Road, the Mongols used disease infected corpses as a biological weapon. The corpses were catapulted over the city walls, infecting the inhabitants. The Genoese traders fled, transferring the plague via their ships into the south of Europe, whence it rapidly spread. It is estimated that between one-quarter and two-thirds of Europe's population died from the outbreak of the Black Death between 1348 and 1350. 1380: Tatars were defeated in the Battle of Kulikovo by the Grand Prince of Muscovy, Dmitri Donskoi. 1480: the Great stand on the Ugra river. 1506: Poland was invaded by Tatars from the Crimean Khanate with an army of 10,000 men, who were summarily destroyed. 1521: The combined forces of Crimean Khan Mehmed Giray and his Kazan allies attacked Moscow and captured thousands of slaves. 1552 Russian Moscow state 110,000 army with Kasym state 40,000 army occupied Kazan kahanate 30,000 army. 1571: The Crimean khan Devlet I Giray devastated Moscow with a horde of 120,000 horsemen. 1599: Tatar forces invaded, invading Lwów and Tarnopol, but were beaten back by Cossack forces. From 1599 the Polish-Lithuanian Commonwealth suffered a series of Tatar invasions, the goal of which was to loot, pillage and capture slaves into jasyr. The borderland area to the south-east was in a state of semi-permanent warfare until the 18th century. Some researchers estimate that altogether more than 3 million people, predominantly Ukrainians but also Circassians, Russians, Belarusians and Poles, were captured and enslaved during the time of the Crimean Khanate. A constant threat from Crimean Tatars supported the appearance of Cossackdom. For years the Khanates of Kazan and Astrakhan routinely raided Rus principalities for slaves and to plunder towns. Russian chronicles record about 40 raids of Kazan Khans on the Russian territories in the first half of the 16th century. 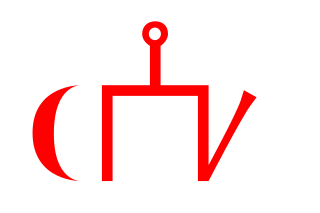 Muscovy was also being invaded by the Nogai Horde and Crimean Khanate which were successors of the Golden Horde. In the beginning of the 16th century the wild steppe began near old Ryazan on the Oka River and Elets on the Sosna, inflow of the Don. Crimean Tatars chose to proceed along watersheds for their incursions. The main way to Moscow was "Muravski shliach", from the Crimean Perekop up to Tula between the rivers of two basins, Dnieper and Northern Donets. Having penetrated deep in the populated areas about 100-200 kilometers, the Tatars turned back and, having unwrapped wide wings, looted and captured slaves. 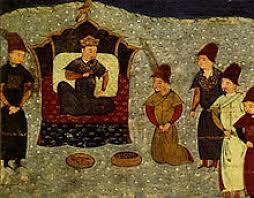 Until the early 18th century, the khanate maintained a massive slave trade with the Ottoman Empire. Captives were sold to Turkey and the Middle East. In Crimea, about 75% of the population consisted of slaves. The Crimean city of Caffa was the main slave market. Annually, Moscow mobilized in the spring up to 65,000 soldiers for boundary service. The defensive lines were applied, consisting of a circuit of fortresses and cities. Cossacks and young noblemen were organized into sentry and patrol services that observed Crimean Tatars and nomads of Nogai Horde on the steppe. About 30 major Tatar raids were recorded into Muscovite territories between 1558-1596. To protect from the invasions of the Nogai Horde between the Volga and Irtysh rivers, the Volga cities of Samara in 1586, Tsaritsyn in 1589, Saratov in 1590 were founded. The Crimean Khanate was one of the strongest powers in Eastern Europe until the 18th century. The Russian population of the borderland suffered annual Tatar invasions and tens of thousands of soldiers were required to protect the southern boundaries. This was a heavy burden for the state, and slowed its social and economic development. Since Crimean Tatars did not permit settlement of Russians to southern regions where the soil is better and the season is long enough, Muscovy had to depend on poorer regions and labour-intensive agriculture. Poland-Lithuania, Moldavia and Wallachia were also subjected to extensive slave raiding. The Crimean Khanate was conquered by the Russian Empire in 1783, bringing an end to Mongol and Tatar rule in Europe. The Turkic invasion in Anatolia (previously populated by some European nations), Cyprus and the Balkans remains unchanged. Historians estimate that up to half of Hungary's two million population at that time were victims of the Mongol invasion of Europe. About half of the Russian population may have died during the Mongol invasion of Rus'. Colin McEvedy (Atlas of World Population History, 1978) estimates the population of Russia-in-Europe dropped by 500,000 people, from 7.5 to 7 million in 1300. In some areas of Poland more than 70% of the population was slaughtered, e.g. at the silver mines of Rosperk (Rozbark), next to Bytom while one of the (at least) two raids around 75% were killed and the looted silver was used to build the massive Silver Tree fountain of Karakorum. ^ "The Tatar Khanate of Crimea - All Empires". Retrieved 3 June 2016. ^ "Avalanche Press". Retrieved 3 June 2016. ^ "Articles: The living legacy of jihad slavery". Retrieved 3 June 2016. ^ "Welcome to Encyclopædia Britannica's Guide to Black History". Retrieved 3 June 2016. ^ "Inalcik. Servile Labor". Retrieved 3 June 2016. ^ "Hungary - history - geography". Retrieved 3 June 2016. ^ "History of Russia from Early Slavs history and Kievan Rus to Romanovs dynasty". Retrieved 3 June 2016. ^ "WAR STATS REDIRECT". Retrieved 3 June 2016.